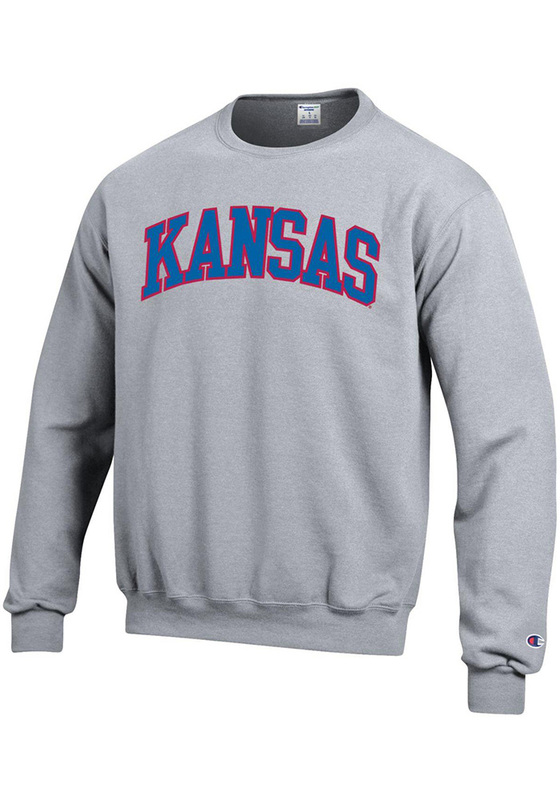 Head out in style with our Kansas Jayhawks Grey Arch Crew Sweatshirt! This Jayhawks Long Sleeve Sweatshirt features a team name arched with twill patch on front chest. You'll be warm, comfortable and stylish as you head to class, the game or just out on the town in this KU Jayhawks Crew Sweatshirt. Very comfy! Love the color! This sweatshirt is not only super comfortable but also super affordable. Its perfect to lounge around in or to run errands with a cute pair of leggings. I LOVE this sweatshirt and recommend it to everyone who compliments it ! Even though this is under "Men's" it is my favorite sweatshirt! It does fit larger than normal but that's to be expected for a lady wearing a Men's size sweatshirt. It's comfy and is the perfect Game Day sweatshirt.